custom painted for the current owner. 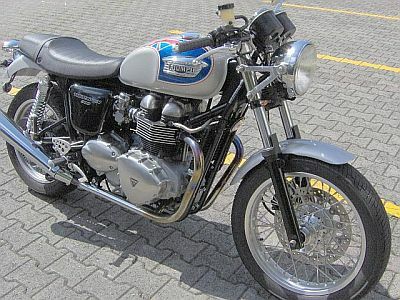 This Triumph Thruxton 900cc motorbike clocks only 8,700 actual documented kilometers. 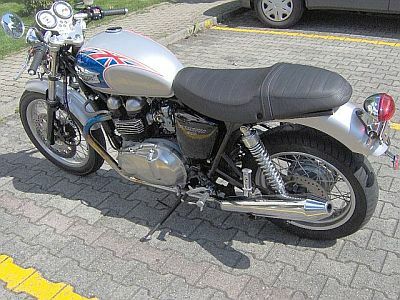 ♦ Excellent overall condition. Front and rear disc brakes. 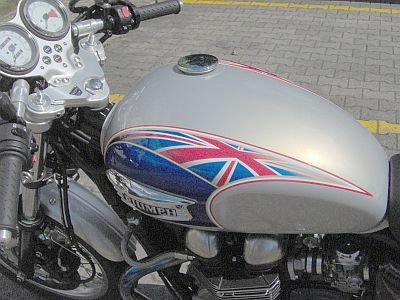 Custom painted gas tank. ♦ Never driven in rain. 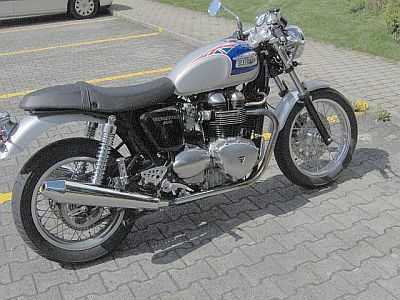 ♦ Spare exhaust system goes with bike.